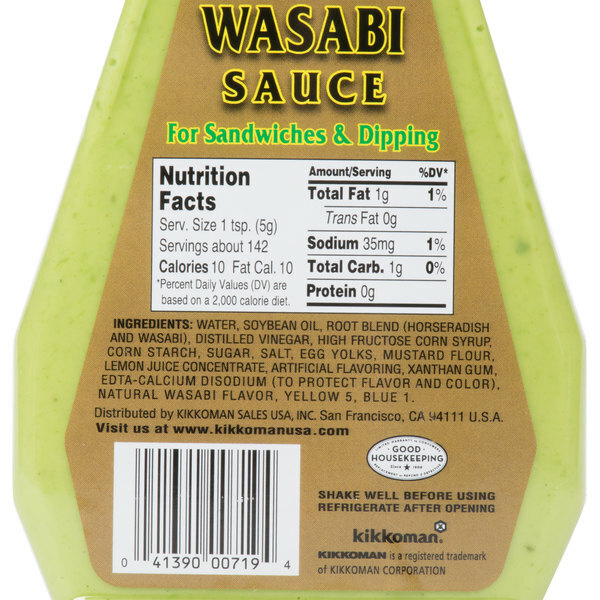 If your customers like the hot, pungent flavor of wasabi on their sushi rolls, they'll love the creamy-spicy blend of this Kikkoman wasabi sauce! 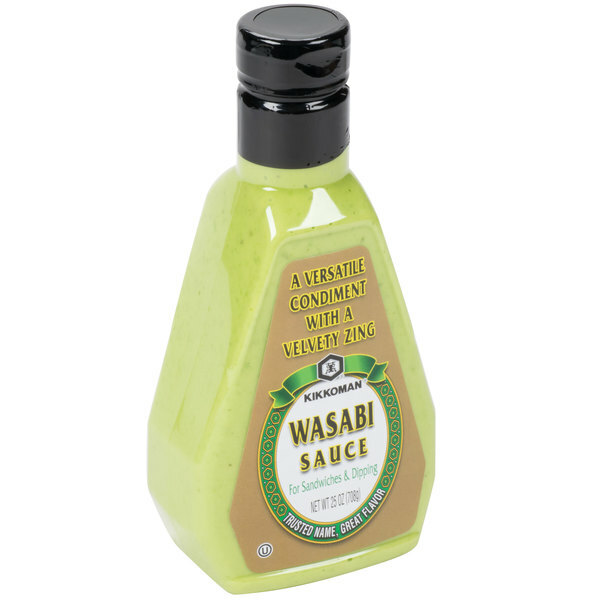 Use this wasabi sauce to spice up the taste of hamburgers, mix it into fiery hot dips and salad dressings, or add a zing of wasabi sauce to steaks and grilled chicken. Also known as Japanese horseradish, even though it is not a member of the root horseradish family, wasabi has a sharp, hot flavor. 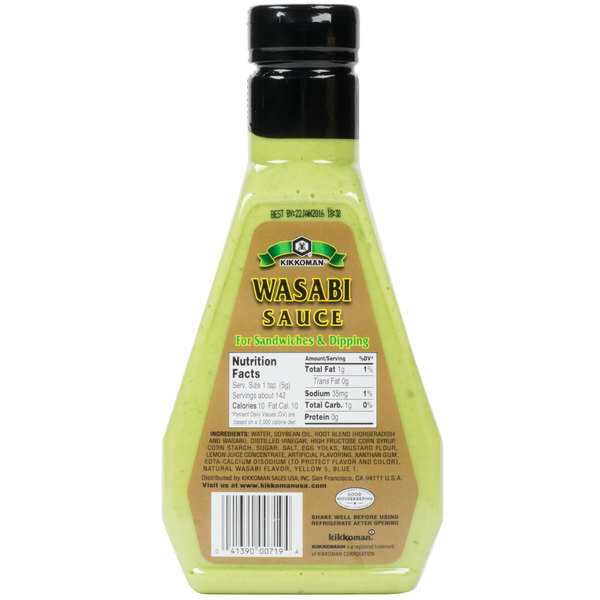 This sauce blends wasabi with corn starch, sugar, salt, egg yolks, lemon juice, and other seasonings for a well-balanced flavor with a kick. With its velvety texture and bright green color, it can be used like mayonnaise as a condiment for your signature sandwiches. 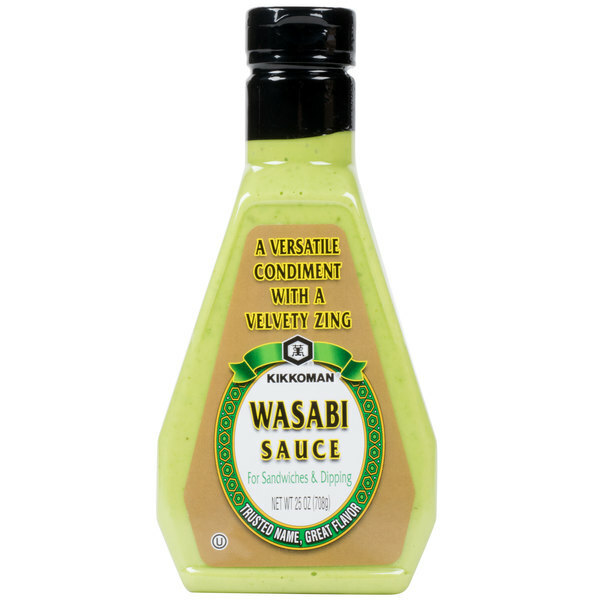 Offering a wide range of soy sauce and other Asian-style products, including this wasabi sauce, Kikkoman is a recognizable brand for your Asian-inspired restaurant, noodle restaurant, or cafe! Kikkoman provides authentic taste made from quality ingredients, so you can make authentic Asian-style meals or enhance mainstream American foods with new flavors. Serve this 25 oz. 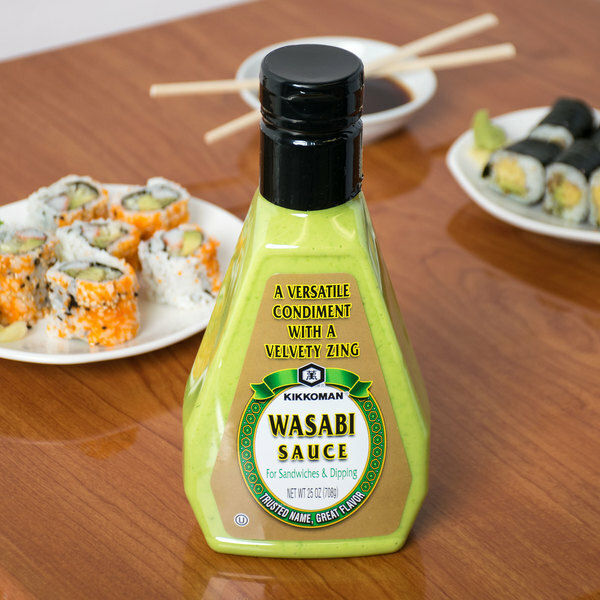 bottle tableside as a condiment so your customers can season their meals with just the right amount of spicy wasabi flavor. This is just great combination of mayo texture with wasabi flavor! I love his sauce for my sandwiches! It will make any of your sandwich more interested! This is a good wasabi sauce. It does not have a strong flavor but perfect for every day condiment use. It is perfect for the average person, not too hot.